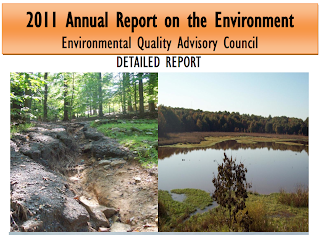 The Environmental Quality Advisory Commission (EQAC) released their 2011 Annual Report on the Environment in December. It includes a section on the Bicycle Initiative that includes a summary of program activities in 2011. The county has made much progress this year, especially with almost no operating funds and the loss of a very valuable staff person, whose position was not filled. The Tysons Bike Plan was completed and the Countywide Bike Plan was started. Phase II of the Gallows Road bike lanes, extending from Idylwood Rd north to Old Courthouse Rd, was finalized and should be completed in 2012. The county is working much more closely with VDOT's repaving program and bike lanes were added to segments of the following roads: Soapstone Dr, Lewinsville Rd, and Sleepy Hollow Rd. However, the Tysons Bicycle Plan, still has not been reviewed and approved by the Planning Commission or the Board of Supervisors. The Bicycle Parking Guidelines are still in draft form. The Bike the Sites project, a tour of historic sites in the Sully District, is incomplete, and there are still no wayfinding signs on the Fairfax County Parkway. Only so much can be done with limited resources and staff. A great deal has been accomplished, but much more needs to be done which means the program needs dedicated funding and more staff. The Transportation recommendations in the report are disappointing. We agree wholeheartedly that the county needs to conduct "Holistic Land Use and Transportation Planning." However the recommendations are very general and include no mention of the need for increased resources for non-motorized transportation planning and implementation. It's worth spending some time browsing the report; it's a good look at the state of the county's environment. You sure are right about the transportation recommendations. They are complete planner-speak. I think EQAC is having a public hearing on Jan. 17 and it would be good to ask them to provide more specific recommendations.